With the likes of Jimi Hendrick, Janis Joplin and Amy Winehouse, the infamous ‘27 Club’ has a pretty prestigious membership, but with a pretty strict ‘you must be dead’ entry requirement, so maybe not a club that most can or wants to join. 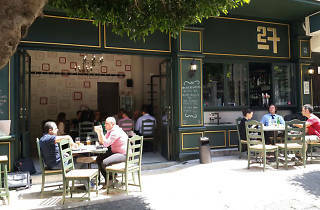 Not so for 27 Cafe Pub in Badaro however as anybody can go here, and they encourage you to be very much alive when you do. It fits in with the rest of the area perfectly as a chilled out venue where you can relax with friends and enjoy some tasty cocktails. 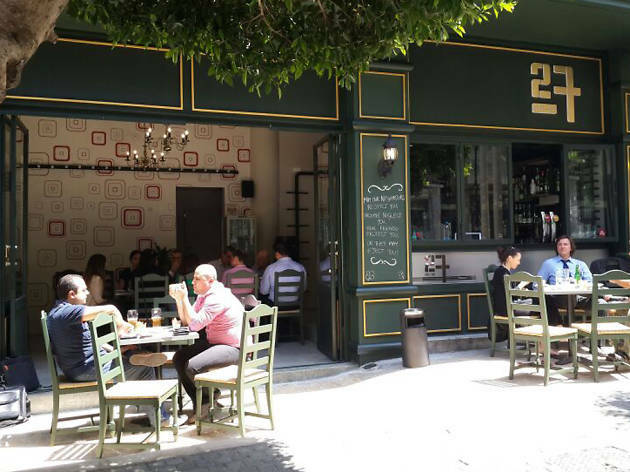 It mixes that cafe and pub vibe together successfully, making it as enjoyable to spend a morning or afternoon there as it is to spend an evening. Some tasty sandwiches and finger foods are also available.